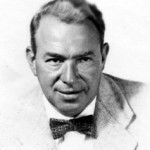 One Man’s Vision: Yip Harburg and Finian’s Rainbow. Footlight Parade (nationally syndicated program hosted by Bill Rudman). December, 2000. 52 minutes. Guest: Ernie Harburg. This recording is not a commercial product and is available only from The Yip Harburg Foundation.